Petland is a privately owned franchisor and operator of pet shops in Ohio. This company sells puppies, cats, and birds that were raised by professional breeders and pet enthusiasts. This pet shop franchisor was established by Ed Kunzelman in 1967. The company’s corporate office in Chillicothe, Ohio operates a huge chain of pet shops. This company has more than 100 US-based pet shops. Also, it has more than 60 international stores located in Japan, China, Canada, South Africa, and many more. The benefits and incentives for Petland employees depend on some factors, like their position. However, all full-time and part-time workers enjoy commissions and employee discounts. Full-time workers may qualify for vacation days, medical insurance, and 401(k) retirement plans. Many pet lovers love to work at this company. New employees are introduced to a challenging but enjoyable workplace where they meet happy and friendly animals. Also, the workplace lets them learn how to make pets happy and healthier. How old do you have to be to work at Petland? Petland offers different entry-level jobs suitable for young pet lovers. Interested applicants must be 16 years old and above to qualify for any entry-level positions. Sales Associates: Sales associates interact with customers each day. Their job involves introducing a new product to customers and answering all inquiries. Sales associates often explain each product, but they may suggest a product that matches their customers’ needs. They try to resolve quickly any customer complaints while ensuring clients’ satisfaction. Also, sales associates stay updated with a product’s features and they maintain the store’s best visual appearance. Kennel Technicians: These people need to be patient, compassionate and attentive. Kennel technicians feed the animals based on their health and dietary needs. Their main responsibility is to keep the pets strong and healthy. Also, kennel technicians may help the customers in choosing a new pet. Animal Care Technicians: They take care of the animals in a research or clinical setting. Their job involves storing animal records, cleaning the cages, administering the medicines and injections and preparing the laboratory specimen. Animal care technicians are mostly working at pet shops and veterinary clinics. Pet Adoption Counselors: The pet adoption counselors are helping people choose a breed of dog or cat. Their main task is to assist people who want to adopt or buy a four-legged friend. Pet counselors always make sure that every pet will be taken by a serious and true pet lover. Groomers: They get up close and personal with the animals every day, so having patience and a genuine love for them would help. Professional groomers check the paws of dogs or cats, their teeth, and fur. They are also trained to examine the areas where the early signs of a disease in pets can be seen. Sales Managers: Sales managers supervise smaller groups of workers. Their main objective is to develop the best sales plans for their team and specify the goals. They encourage all team members to work and help achieve those objectives. Sales managers are good at creating a marketing strategy and they teach their team members how to promote and sell a product. Kennel Managers: The kennel managers monitor the health of animals kept in the kennels. Their job involves scheduling boarding activities, cleaning the runs and cages, pet grooming, exercising, feeding, medicine and monitoring the boarded pets’ behavior. Kennel managers interact mostly with pet owners who need help in taking care of their pets while they’re at work. Cashiers: Cashiers facilitate cash transactions for clients or customers by using cash registers. Cashiers ring up sales through accepting cash, credit, debit cards and check. They deal with cash every day, so the employers expect their cashiers to stay honest while working. Also, cashiers should have exceptional customer service skills since their job is more on interacting with customers. Assistant Managers: Generally, the assistant managers accept some administrative tasks to help the managers maintain smooth business operations. They supervise other employees through encouraging them to provide outstanding customer service. Assistant managers work mostly in retail or corporate settings. Their biggest responsibility is to act as a manager when the real one is not around. Shift Supervisors: They help the store managers maintain a good, positive environment for everyone. Shift supervisors work closely with managers to offer efficient and friendly service for customers while ensuring a great experience for their team members. They help in training new employees about product knowledge and customer service. Also, the shift supervisors always encourage safe and good work practices. Interested applicants may visit the company’s website and go to the Job Opportunities section to learn how to apply. Also, they may visit a Petland store near them and talk to the manager for proper guidance when applying. The company accepts both online and walk-in applicants for entry-level and higher positions. However, walk-in candidates have more chances of getting hired sooner than the online applicants. Applicants should download the provided application form through the company’s website. They must fill every section and provide correct and exact information. Also, their application form should be free from incorrect entries which can lead them to disqualification. Aside from the application form, candidates are also required to submit their latest resume with ID picture. The photo must be recent while the contents of resume and application form should be the same. Qualified applicants will receive a call or message from the managers to inform them about the schedule of their interview. The hiring managers will expect them to come on time and dress up professionally. 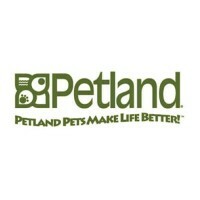 Petland offers a family-oriented work setting for both corporate and store employees. All employees show care and respect for one another as the company wants to make everybody feel that they belong to the group. The company is one of the top-ranked international franchisors in the US. With that, the management promises to continue serving pet lovers with a strong commitment to giving quality service. The company stays focused on implementing its community service programs too. Petland is known for selling different breeds of dogs, cats, and fishes. The company also offers healthy and lovely feathered birds. These pets are perfect for young and adult pet lovers. Also, the company implements programs that show how much they value their employees. The company has several outreach programs and fundraising campaigns to help the local animal care teams. These programs include Adopt-A-Pet, Pets for a Lifetime! and Safari Stan’s Children’s Charities. Such campaigns let the company continuously give back to the community. 1 How old do you have to be to work at Petland?